Chances are that you’ve heard about the ROTC program prior to enrolling in a college program. Chances are that you don’t have a very good idea about what the program is. ROTC stands for Reserve Officers’ Training Corps. The goal of the program is to have college students train for enrollment in the US military. There are many different types of ROTC programs and each one comes with specific perks. Here are the most important steps that will give you a better understanding of what ROTC is all about. A very demanding leadership program, this training gives students all of the skills that they’ll need to be awarded an officer status in the Army. The program consists of both classroom training and field exercises. This program, as its name indicates, prepares young people for leadership positions in the Navy. It brings together military training and standard academic studies. This program commands 145 educational units at college and university campuses. There are three and four-year programs that are both based on Air Force requirements. This isn’t a ROTC program per se but students aged 17 to 31 can enroll in this one to complete coast guard training. Now that you have some idea about the types of programs, it’s imperative to take a look at how they work. It all starts with JROTC (junior ROTC) programs that are available in many schools across the US. These three to four year programs are run by the branches of the military presented in the above section of the article. All high school students, including the ones that aren’t enrolled in a JROTC program, can prepare to enroll in ROTC college educational opportunities. It’s very important to begin researching the local possibilities early enough. All interested students will have to complete a training and scholarship application process that can be lengthy. ROTC programs do come with scholarship possibilities, making it easier for students to complete their higher education on a limited budget. The army ROTC scholarship options are provided for a period of four years. They provide coverage for full tuition, book allowance and a monthly stipend. The Navy and Air Force scholarships have a similar structure. Extensive information about the ROTC scholarships is available on the US Army website. Maintain a stellar record in school. Students that have good grades and are involved in extracurricular activities could potentially score ROTC scholarships. Apart from demonstrating academic excellence, students interested in such opportunities should work towards keeping themselves fit and being physically active. Get acquainted with a recruiter. This is the second step to complete after you’ve decided what ROTC program you’re interested in. Contact information should be available in the school’s guidance counselor office. Complete the application requirements. The recruiter will give you detailed information about all of the documents to provide and the steps to complete during the application. You’ll be asked to pass a couple of tests on top of addressing the other application requirements. Excel in the college entrance exam. You need a high SAT score because it’s one of the most important criteria required to sort through all of the applications. As you can see, getting prepared for your ROTC scholarship application should begin early on. Sign your acceptance letter. If you’ve completed all of the above steps successfully, you’ll get your ROTC program acceptance letter. Students that get acceptance letters from more than one program are free to choose the one that they like the best. ROTC programs are very attractive because of the career prospects, the academic and the financial assistance that students receive. Before joining the program of choice, however, dedicate some time to making sure that ROTC is the right way forward for you. 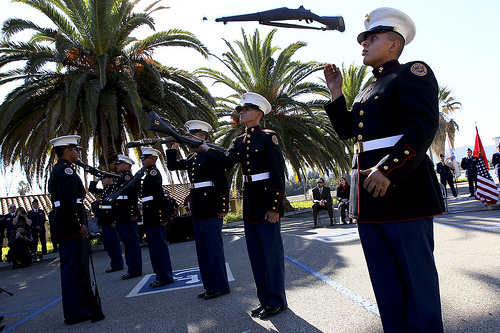 ROTC programs come with legally-binding contracts. This means that once you accept, there will be no turning back. The long-term service commitment is also something you should never take lightly.